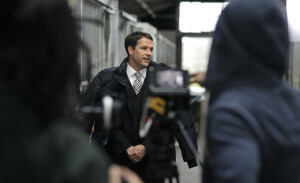 Michael Owen „Spey” Whiskey commercial - Creative video production company based in London. We produce fashion, corporate, commercials, promo films for businesses.Creative video production company based in London. We produce fashion, corporate, commercials, promo films for businesses. This project is one of the greatest achievements of our company due to a couple of reasons. First of all, we had an opportunity to collaborate with a true legend – Michael Owen, one of the most esteemed English football players. He was chosen as the face of exquisite “Spey” whiskey on Asian market and when we heard we’d have to work with such a famous figure, we were simply stoked. Secondly, the “Spey” commercials we made were co-produced with Taiwanese company CY Films, so we could not only share the experiences of video production with talented filmmakers from the other end of the world, but we could also gain the knowledge about specifics regarding Asian commercial market which has very distinct style and production values. We wanted to invoke tradition, expertise and a bit of old English vibe in the advert, so we decided to use a “totally” English filming location and Manor House Stables were perfect for it – horse racing, manors, misty countryside are one of the most recognizable English characteristics and we believe we’ve managed to show the audience that “Spey” whiskey deserves its place among the best alcohol brands in the world. Of course, every video production encounters some problems, but thanks to experience and dedication, we were able to overcome them quickly. The first little issue was the language barrier of the whole production crew, but after a couple of shots there was no problem at all – experienced filmmakers understand what has to be done no matter where they come from – London and Taipei crews cooperated splendidly. The second issue was the availability of our star- Michael Owen is a very busy person obviously, so film scheduling was a bit all over the place, but thankfully, Mr. Owen was very serious about his job and the dedication he had for the commercials can be easily seen. His great attitude was a huge morale boost for the whole international team and we’d like to thank him for his great work. To know more about Spey whiskey, just check out their homepage. You can see the effects of our work below. You can also check out our portfolio.